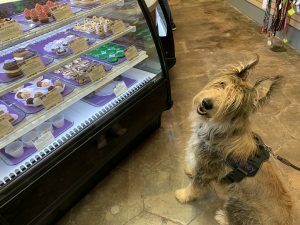 If you’ve ever been to Disney World, you’ll understand how exciting it is for your dog to visit a doggy bakery. 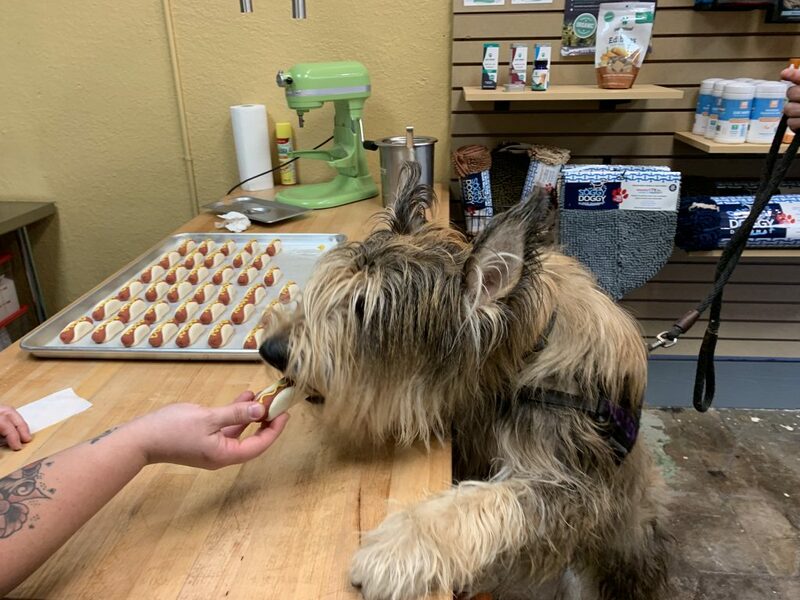 I recently took my dogs to the Three Dog Bakery in St. Petersburg, Florida. We felt welcome from the moment we walked in. The dogs were treated like old friends. They were allowed to touch everything, it was doggy heaven. There were walls of all sorts of healthy treats. The large display case housed at least fifteen different types of freshly baked offerings. They had dog beds, dog food, leashes, rawhides, dog blankets, tags…they even offered custom made paintings of your dog. You could also buy treats by weight. In short, there was something for everyone and my dogs wanted it all. All three of my dogs were offered, and happily accepted, freshly made and still being decorated treats. Lindsay and Alicia went out of their way to get to know my dogs. 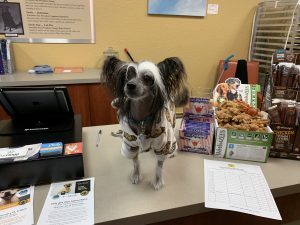 Chester picked out some treats and Rodney carried them out, while Pepe tried to help himself to all the treats by the register. If you’re ever in one of the 40 locations in the US that have a Three Dog Bakery, I highly recommend you take your dog for a visit. If you happen to live outside the US, don’t despair, Three Dog Bakery also has locations in Canada and Hong Kong. So, what are you waiting for? Take Fido there ASAP! Trust me, it’ll be an unforgettable experience for you both.